I love this flavour combination, which I happened upon accidentally while creating Riata for my chickpea and sweet potato curry (click here in case you missed it!). I don’t know why I never thought of cucumber and pineapple before, but I’m sure glad I’ve found it now!! Lentil loves smoothies and now regularly asks for them, so I’m constantly on the lookout for new concoctions and this one definitely seems to be a winner. Smoothies are also a great way to use up that leftover bit of cucumber in the fridge that would otherwise end up in the bin. 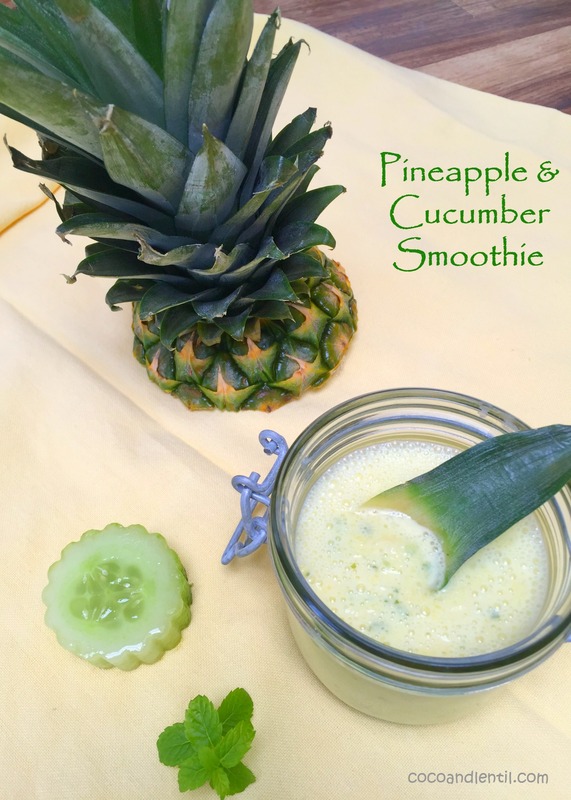 Blend the pineapple, cucumber and mint in a food processor, then add the yoghurt and honey and blend until well combined. You can either serve as a textured smoothie, or pass through a sieve if you prefer a drinkable smoothie without any “bits”. Personally, I prefer the former, but some kids might be put off by the “bits”. 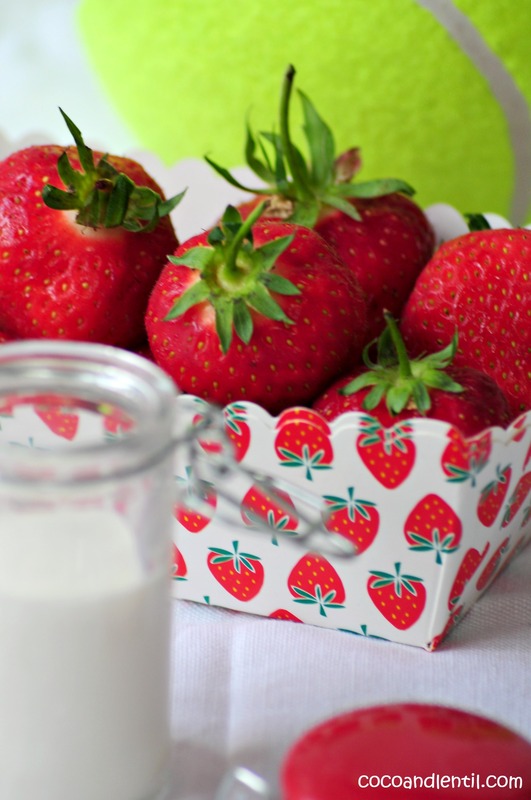 In good old British tradition, we started off the week with strawberries and cream as temperatures soared and the players retreated to Wimbledon’s new ice baths! I’ve never been a big fan of the ice treatments some spas offer following a sauna or steam – I prefer my spas to be an enjoyable experience! I did however once try a home-made ice bath after a training run for a marathon a few years ago. I wasn’t able to stay in it for very long and I’m not sure how much it helped, but Mr Coco&Lentil certainly found it amusing! So leaving the ice baths to the players, we’re starting day 3 off with a healthy strawberry smoothie instead to keep us nice and refreshed as heatwave continues. 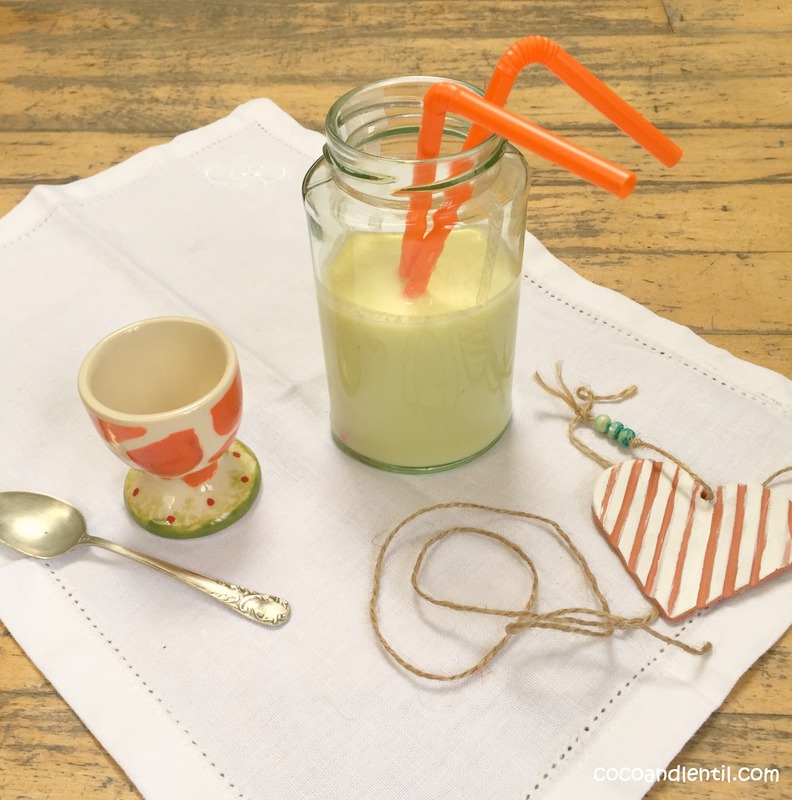 This recipe makes two large and one mini smoothie (for little Coco!) but you can just increase the ingredients to make more. 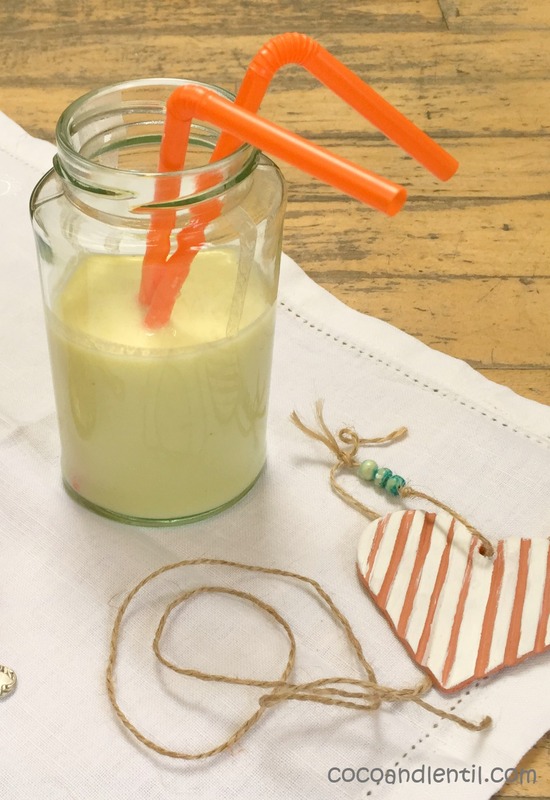 Smoothies are a great way to get extra fruit and veg into little tummies. Lentil asks for seconds of this one and would never guess there is cucumber in it! 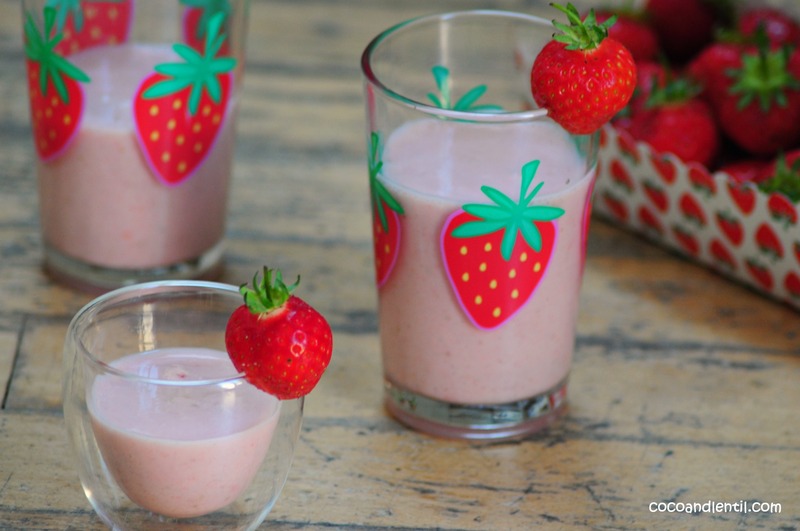 Add the banana, cucumber and strawberries to the blender and blitz until smooth. Then add the yoghurt and blend until you have a thick, but smooth smoothie. 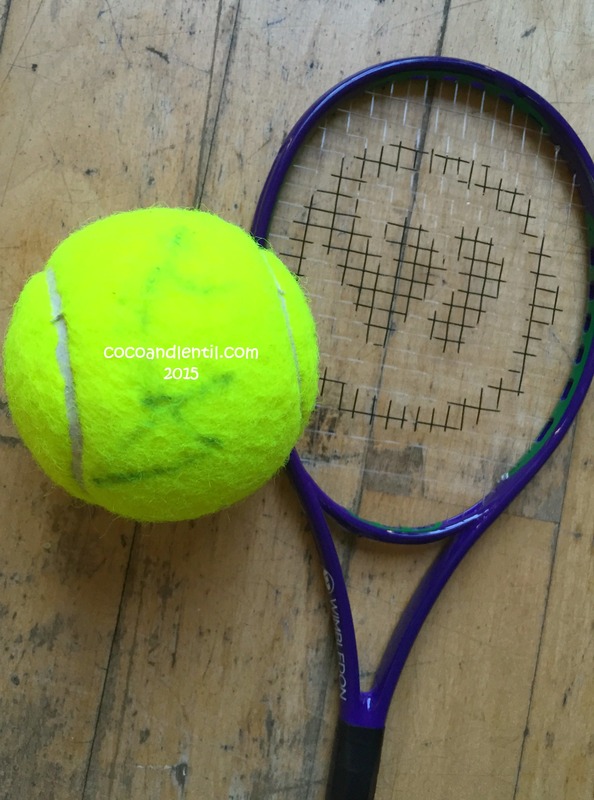 Pour into a glass and sit back and enjoy as there is more sun and Wimbledon excitement in store today: Djokovic meets Jarkko Nieminen of Finland; GB’s Heather Watson takes on Daniela Hantuchova; and Serena Williams finishes the order of play on Centre Court. Can’t wait? Neither can we!